Since the first serialized adventures in 1912 of the Martian Princess Dejah Thoris and her beloved hero, John Carter, science fiction and fantasy enthusiasts have dreamed of the faraway Red Planet, its wondrous sights and monstrous perils. 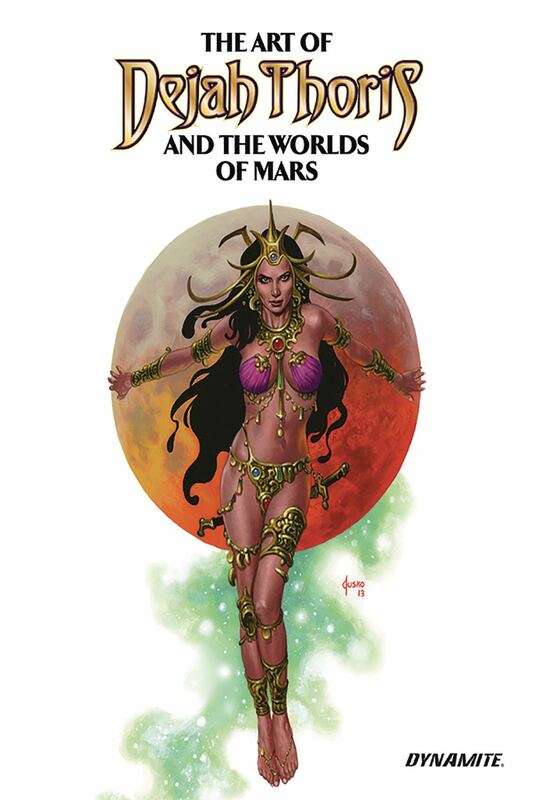 In this second volume of The Art of Dejah Thoris and the Worlds of Mars, the finest artists of modern fantasy have brought the dying world of Mars to life, depicting scenes of brutal conflict with alien beasts, quiet moments overlooking Martian wastes, and enticing visions of an exotic princess at her most intimate. This magnificent hardcover collection features the talents of J. Scott Campbell, Joe Jusko, Frank Cho, Lucio Parillo, Tula Lotay, Mike McKone and many more!